Power inserters. Seems like they are everywhere. You’ll find them in your DIRECTV system, on an antenna amplifier, and the more accessories you have, the more you’ll find power inserters. Is this an insidious invasion, a conspiracy from the power companies or just part of life in the wondrous world of high technology? Let’s take a look at power inserters, and why you have so many of them. What’s the difference between a power inserter and a power adapter? After all, everything has a plug, right? Why call some things power inserters and some things power adapters? The purpose of a power inserter is to put power on a line being used for something else. If the power is flowing through its own line, that means the thing is a power adapter. If it’s flowing through a line used for something else (like your antenna or satellite cable) it’s a power inserter. What’s the difference between a power inserter and a power injector? Nothing. They are different terms for the same thing. How does a power inserter add power without electrifying my antenna? Anything that uses a power inserter should have a DC Block built into it, so there is no chance of passing voltage up to an antenna made of bare metal. 20-30 volts (which is about what a normal power inserter puts out) isn’t enough to electrify a bird that lands on the antenna, but it’s enough to give you a little buzz. In the case of a satellite dish, the power flows to the LNB but not to the metal reflector around it. But why does it need power in the first place? Everything that amplifies or processes a signal needs power. If you see something listed as an amplifier and it doesn’t get power from somewhere, it’s not amplifying. Simple as that. Because broadcast signals are a form of power, it’s possible to use them for a little bit of amplification, but it’s much more effective to just pull power from the wall. OK, one more question: why are the plugs almost always so big? 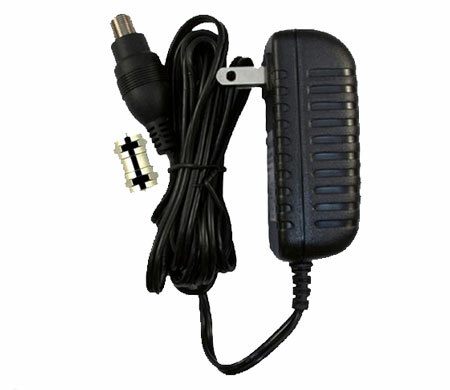 The big “wall warts” or “power bricks” are used to transform the AC power in the outlet into the DC power needed by the amplifier, dish, or antenna. In general, the bigger the power brick, the less it costs to make, and the better it is at handling excess heat. DIRECTV power inserters are pretty darn big, that’s true, but they are also very very reliable. They need to be, because if you lose one, you’re not watching TV anywhere. Oh, by the way, anything that needs a power inserter also needs a cable with a solid copper core. DC power travels through the center of the cable (unlike video broadcasts) as well as on the outer skin of the center conductor. NICE AND EASY: Can you use PIP with recorded programming?